The march for medical access to cannabis continues to move forward, as Macedonia becomes the next country in Europe to legalise its use. Macedonians love cannabis—the proof is in the polls which suggest that around seventy percent of Macedonians support the medical use of marijuana. This post-communist country, and nowadays candidate to the European Union, is making a big step towards pot legalisation for medical purposes and joining fourteen advanced European countries to legalise medical weed. Earlier this month, Macedonian health minister Nikola Todorov announced that amendments to the Law on Control of Drugs and Psychotropic Substances will make cannabis legal for “people suffering from serious illnesses, such as malignant diseases, multiple sclerosis, HIV, and childhood epilepsy.” Macedonia’s Ministry of Health informed new agencies that it is working closely with foreign specialists to learn more about the safe and efficient use of psychoactive cannabis. 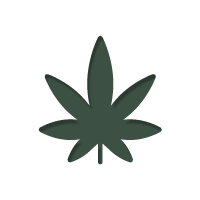 Although people will be not allowed to sell the dry cannabis herb as a medicine yet, cannabis extracts will be available. Beyond a doubt, this is big progress towards marijuana legalisation in Macedonia and for all of Europe as well. The Ministry of Health promises to make smoking medical marijuana legal in a later stage of the project. Many enthusiastic Macedonians are already looking forward to the new business opportunities and how they can turn cannabis into a thriving industry. It is worth noting, for now, the recreational use of cannabis remains strictly illegal – although the court system is said to be anecdotally easing up on users as well. Currently, only people’s with certain conditions can be prescribed cannabis extracts until the programme is assessed and rolled out on a larger basis. Hopefully, Macedonia will set a good example for other European countries that still look at cannabis in a regressive light, and fail to advantages of the healing and pain-relieving benefits it has to offer.